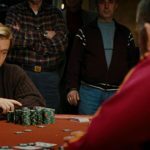 To this day, 20 years later, “Rounders” remains the most iconic poker movie in history. Few other than, perhaps, the creators of “Molly’s Game,” would dispute that claim. Damon told Simmons, a popular sports journalist, how Miramax used the WSOP to promote the movie. And he also shared a story involving getting felted by Doyle Brunson. Texas Dolly Busts Matt Damon? Miramax Films, ran by accused sexual predator Harvey Weinstein, had a brilliant idea to get word out about its upcoming flick. Damon was just learning the game back then. He was certainly no Johnny Chan, who made a cameo in “Rounders,” on the felt. But he didn’t want to bust too early from the tournament. After all, he was there to promote a movie. How much attention would he get from busting an hour into the first session? Unfortunately, for the young actor, he wasn’t able to reach his goal of making it to Day Two. But he won’t ever forget how he busted. “Is it true you lost to Doyle Brunson, did he knock you out?” Simmons asked. He didn’t make it to Day Two. But he still accomplished his goal of promoting his new movie. Brunson, however, didn’t put Damon’s chips to good use. He failed to cash in the Main Event. Scotty Nguyen won it for $1 million. “Rounders” struggled in the box office following its 1998 release. Back then, poker wasn’t a mainstream game. But when the early 2000s poker boom hit, the movie grew significantly in popularity. The R-rated flick currently has a ho-hum 65-percent rating on Rotten Tomatoes among critics, although who knows how many movie critics play poker. But even though he still enjoys the game, he is struggling to keep up with modern poker strategy. Perhaps, the actor with two first names would benefit from an Upswing Poker course to learn GTO. You can listen to the full 108-minute podcast here. “Rounders” and poker discussion starts at the 47-minute mark. 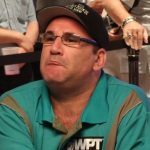 This is a nice story that lets the old guys of poker hang their hat on and say, yup, I remember, back in the day, when everyone did what everyone should and played the right hands at the right time and showed huge respect to etiquette! Never seen this film, though guess I should as it still gets all the plaudits from poker. So maybe over Christmas when i get time to relax i can watch this and Mollys Game and see which i think is best. Nice story about Brunson too. If Rouders was released like 2008 would be a BIG success, huge. But to me it is the best movie so far about Hold´em. Always watch some parts on Youtube. “Peeyd that mannn his money!” Great acting by John Malcovic. I have not seen this movie yet, it must be very good, I’m already going behind it so I can see .. Poker has undoubtedly evolved a lot since that time, nowadays Matt could hire a great coach and could have some chance of competing against the best poker players. Anyway, the movie is very good, I recommend to the lovers of poker. 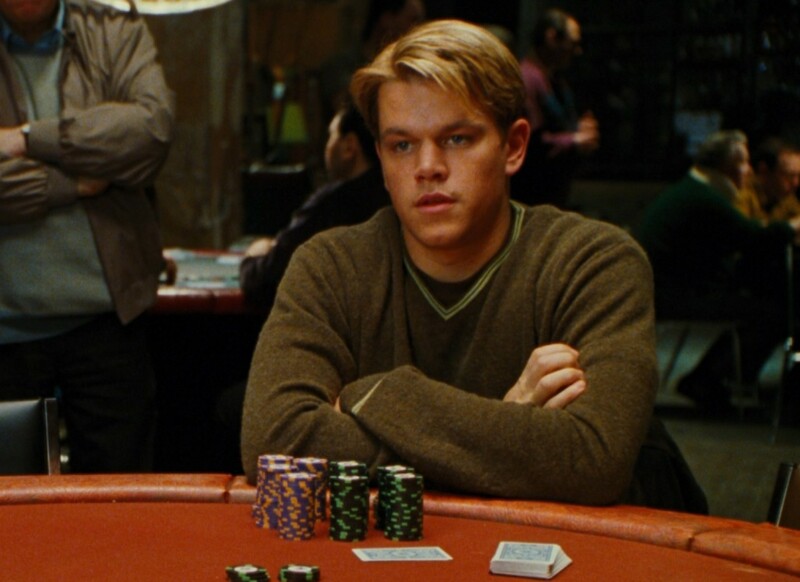 Rounders is my second poker movie I watched, after the amazing “Cincinnati Kid”. The movie is well-directed, with good dialogues and solid performances from the actors, especially from John Malkovich. I agree, the movie should have released somewhere in the mid to late ’00s. But, anyway it was a nice film and I hope for Rounders 2 in the near future.